The Flygt Concertor is simple and quick to install. Looking for a solution to regular breakdowns and subsequent resident complaints, Irish Water turned to Xylem distributor Campion Pumps for a remedy. Rochfort Manor is a well-maintained and highly-desirable residential development on the outskirts of Carlow town in Ireland. With demanding flows and fibrous content, the pumps installed at Rochfort Manor Pumping Station had been frequently plagued by blockages and breakdowns. This caused not only a surge in unplanned maintenance costs, but also major disruption, with breakdowns occurring every seven to ten days. As a live pumping station in a residential area, there was the added challenge of ensuring any work carried out did not disturb the residents and remained in operation throughout. Irish Water consulted experts, Campion Pumps who worked in partnership with Xylem to resolve the issues. The two companies based their proposal on three core elements: blockage prevention, reduced maintenance costs and improved efficiency. Campion Pumps carried out a detailed site survey and using the Flygt ATU401 SCADA system collected data such as current power usage and flows from the existing pump station over a two week period. Following their analysis of this data and in consultation with Xylem Ireland the deployment of two 7.3kW Flygt Concertors was recommended as the best option. In order to keep the station in action, this meant only one pump could be changed at a time. Flygt Concertor guarantees correct rotation of the impeller, which means there is no need to spend time physically checking. 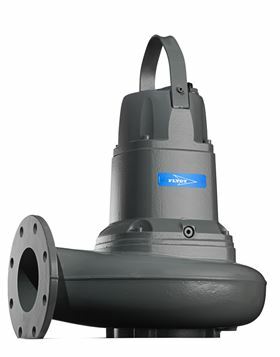 For Rochfort Manor, this meant that Concertor could be installed quickly, while the other pump continued operating. Its compact footprint also made it easy to navigate the restricted spaces. In addition, Irish Water was able to access real time views of the pump station, it’s flows and power consumption figures, via a live website link. Blockages were proving to be particularly problematic for Rochfort Manor, However, Concertor’s intelligent XPC functionality can sense the operating conditions of its environment and adapt its performance in real time to suit the changing demands of the station. Should the pump detect a potential blockage, the adaptive N-hydraulics and anti-blockage protocols will run the N-type impeller back and forth repeatedly until the debris is cleared. The pump will carry out this operation 22 times before alerting an engineer, thus reducing unnecessary and expensive callout charges for reactive maintenance. The XPC also delivers real time performance data, including: hours run, number of starts, kW consumed, current power, and number of anti-clogging cycles. This gives engineers total visibility and remote access to the pumps’ operations at all times. Campion Pumps finds a solution to maintain the water flow at Ireland's Inniscarra Dam.